5 - 4..........Bryan von Forell. 5 - 5..........Kira von Romberg. Bosco: BH and sire of the Vonforell “S” litter (Sirene). Bronco: sire of the Hundesport “C” litter (Cali, Chilli, Cona). Biene: dam of the Kaiserhundz “A” litter (Asta). 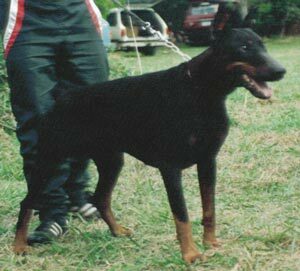 Misch: dam of the Vonzennith “E” litter (Egor). Case: SchH 1, FH and dam of the Kiatasee “J” litter (Just).